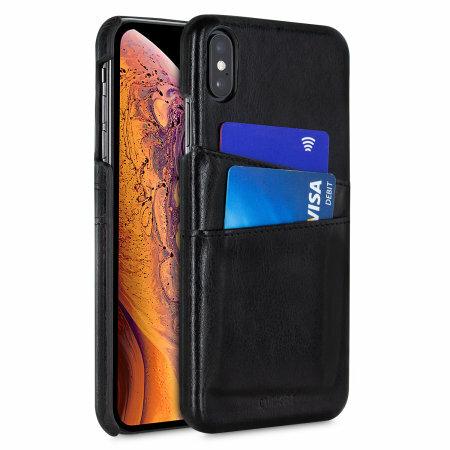 Designed for the iPhone XS Max, this black executive leather-style case from Olixar provides a perfect fit and durable protection against scratches, knocks and drops with the added convenience of 2 RFID protected credit card-sized slots. I really like how the case is quite minimal, stylish and practical for a couple of cards. At the same time the case feels secure.